As previously announced by SXSW, Priscilla Presley, David Porter (legendary Memphis music writer and producer), Thom Zimny (director), Jon Landau (producer) and moderator John Jackson (SVP A&R, Sony Music) will discuss the film, the cultural impact of Elvis' music and how that impact became the embodiment of rock'n'roll at the 2018 SXSW Festival in March. 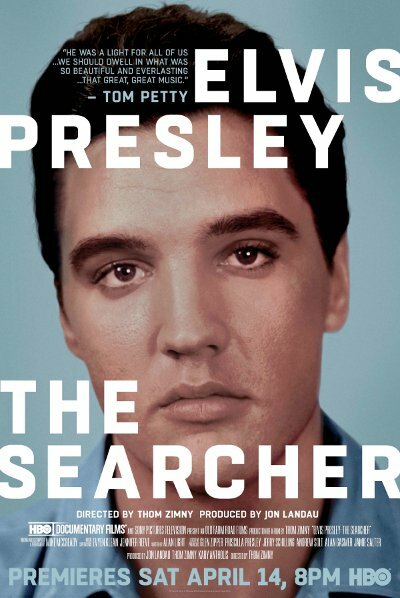 RCA/Legacy Recordings, a division of Sony Music Entertainment, will release Elvis Presley: The Searcher, the musical companion to the HBO/Sony Pictures documentary, on Friday, April 6. It will be available in digital and physical configurations.